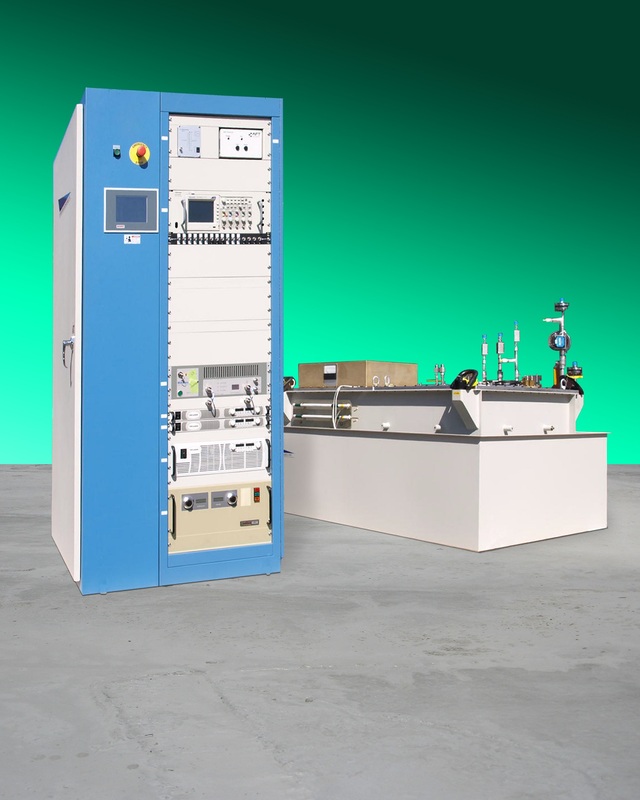 A new, turnkey high peak power amplifier which provides pulse fidelity and repeatability with high reliability is being introduced by Diversified Technologies, Inc. of Bedford, MA, U.S.A.
DTI PowerMod™ Solid-State Klystron Transmitters include a PLC-based controller, pulse transformer, high voltage solid-state switch, and the required protection circuitry to run a Klystron. Featuring > 0.1% pulse fidelity and repeatability, with 100,000 hours MTBF, this Klystron modulator is an ideal building block for high availability applications such as particle accelerators and mission-critical radars. Minimizing the stress on the system in the event of a tube arc or fault, Diversified Technologies’ PowerMod™ high voltage solid-state opening switch technology contributes to long tube life and high availability, with rapid fault recovery. Peak RF power is available to 100 MW, pulse widths from 1 µs to 5 mS repetition rate to 1 KHz, voltage flatness is < 1%, reproducibility is 0.1%, and pulse-to-pulse jitter is < 5 nanoseconds. DTI PowerMod™ Solid-State Klystron Transmitters are priced from $500,000.00. Price quotations will be provided upon request.